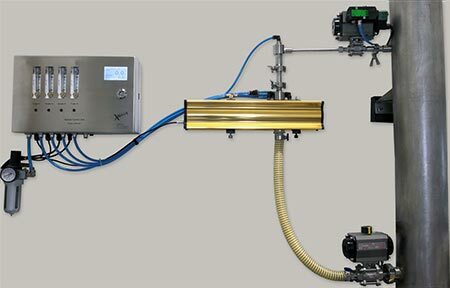 The fixed in process modules comprise the sizing system with appropriate sampling systems to take the sample from the line for measurement. 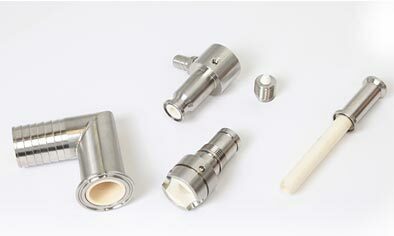 XO220P For measuring particles conveyed in air from 0.5 to 220 microns. For technical specification click here. 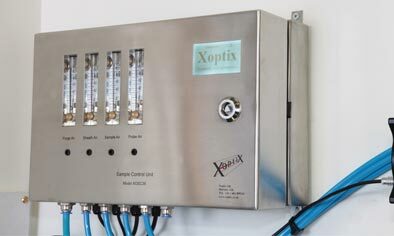 XO550P For measuring particles conveyed in air from 1.2 to 550 microns. For technical specification click here. 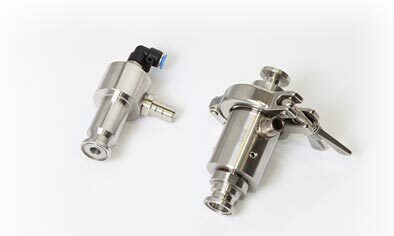 XO1100P For measuring particles conveyed in air from 2.5 to 1100 microns. For technical specification click here. 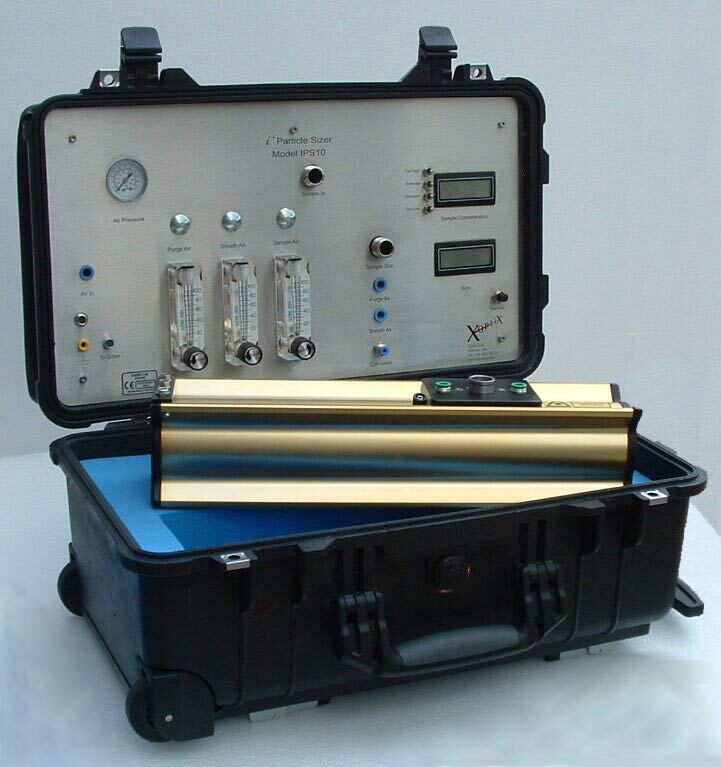 We believe that this is the first truly practical at-line particle size solution: in a case that may be taken as hand luggage on an aeroplane*. Whilst it boasts an extremely small footprint, there is no compromise in quality, and indeed, using the latest technology components this product offers the best at-line performance at a fraction of the cost of other systems. * Recent anti terrorist regulations may restrict the size of carry on luggage. For technical specification click here.